Go to Engine settings > Settings > General. From Engine settings > Settings > Ads. 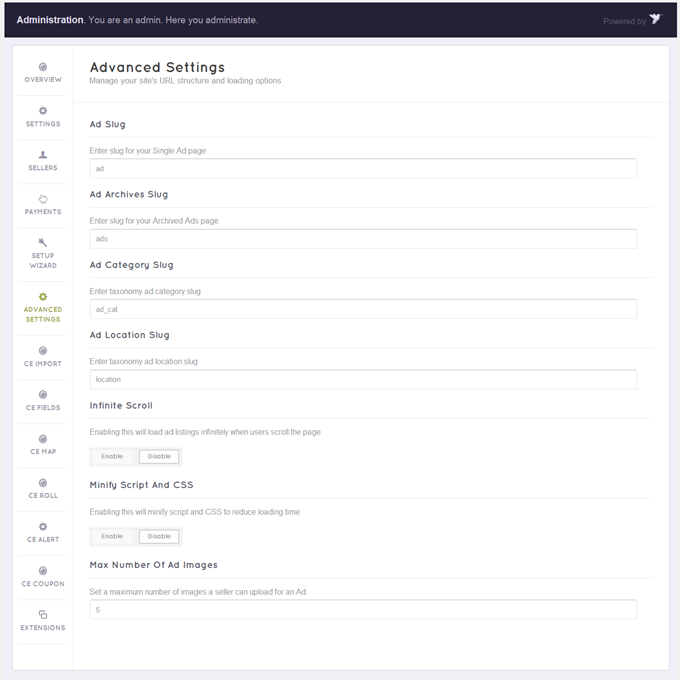 If you enable this option, an ad has to receive your approval before being displayed in the front-end, which means you can absolutely keep your site stay away from unsuitable ones. Furthermore, you can decide to allow users to comment on an ad or not in this section.